This panel will discuss regional integration processes in Africa at both continental and regional levels as well as the commercial interaction between Africa and other global players to uncover as much as possible the actors, their strategies and the aim driving regional integration in Africa. 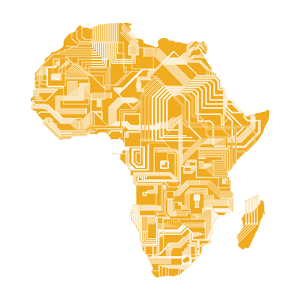 Regional economic integration is the epitome of the continuities and ruptures on the African continent. There exist more than ten regional economic communities in Africa, grouped according to countries' geographical regions. Sometimes, one single country is member to more than seven regional communities. This overlapping membership gives to the African regional integration landscape the image of a 'spaghetti bowl' making it extremely complex to analyze and to understand. But regardless of this complexity, efforts to integrate the continent came up with the African Continental Free Trade Agreement in early 2018. The aim of this agreement is to create a free trade area between the fifty-five African Union member states to boost the intra-African trade. But as Africans are trying to create environment to trade with each other, other global players are crafting ways to tighten commercial ties with the Continent. The Economic Partnership Agreements that the European Union is concluding with members of African regional economic communities are eloquent examples. Therefore, as dynamic as regional integration initiatives on the continent are and as attractive as Africa may be for commercial relationships with other external players, it is important to understand the economic, political and social forces that drive the making and dislocation of blocks in Africa. This panel's main objective is to bring scholars and researchers from different scientific backgrounds to contribute to the improvement of the understanding of - among other things - who are the players, what are the strategies, and what are the interests at stake in the redrawing of Africa's economic and commercial future. EU-Africa Economic Partnership Agreements: Opportunity for Development or (Re)Colonisation through Trade?